HP is one of the persistent brands found in the business segment. Today we are looking at a device that is more on the premium side, both with its price and with its claims. Actually, we reviewed its predecessor last year and were left with mixed feelings. At first glance, this unit lives up to the promise of great build quality and sleek design, aiming directly at Apple’s MacBooks. In addition to that, this year HP added a touch sensitive IPS panel as an option. Moreover, HP is bragging about the docking capabilities of the EliteBook 850 G5. There are a lot of capable laptops in this segment, although HP’s EliteBook 850 G5 takes a little different approach and it addresses multimedia too. It will also be interesting to see how the new RX 540 GPU by AMD fares against the older one, which was burdened with AMD’s former blemishes. Without further ado, let’s see if the performance matches the premium looks of this high-priced piece of hardware. The device is neatly protected by large foam pieces. Somewhere inside the box are thrown the manuals and set up guides, and for the charger there is a separate compartment. 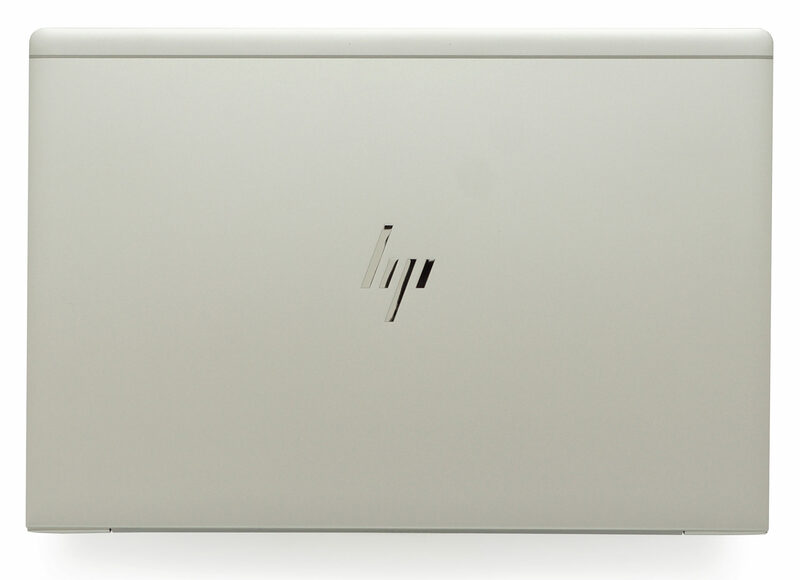 HP EliteBook 850 G5 features a very sleek design with a premium build quality at first glance. We suppose that the paint job on this device is very thick as our tools weren’t able to detect the aluminum, advertised by HP (although it really feels like aluminum). The 18.3 mm profile suits very well the 15.6-inch form factor and moreover, it is built like a tank. It measures at 370 x 252 x 18.3 mm (14.57″ x 9.92″ x 0.72″) and weighs 1.78 kg (3.9 lbs). As you can see from the image below, there is a strip in the upper part of the top panel, which is made of plastic and resembles the antenna for the SIM card. With a lot of willpower, the lid can be opened with a single hand and moreover – it feels very durable with almost no bend when exposed to external forces. This is both due to the aluminum lid and the tempered glass placed on top of the touch screen panel. Opening it up, we can see bezels which are hiding the face recognition sensors, the Web camera and some microphones on the top and HP’s logo on the bottom. 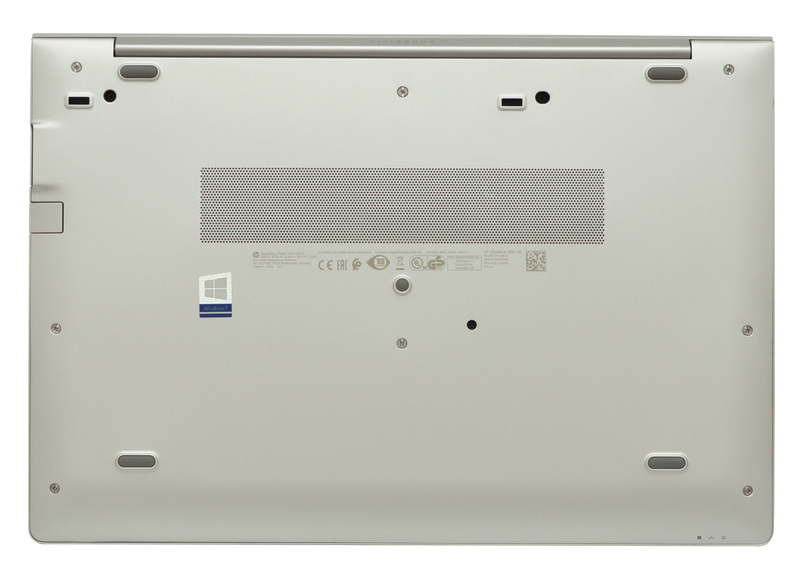 Next, we look at the base of the HP EliteBook 850 G5, which is once again made from aluminum. The grill on top, seen in the picture below, conceals the Bang and Olufsen branded speakers – upward facing speakers are always good. However, there is a lot more happening beneath it. First – the keyboard – it has a good tactile feedback and it’s good for typing, although the key travel is relatively short. 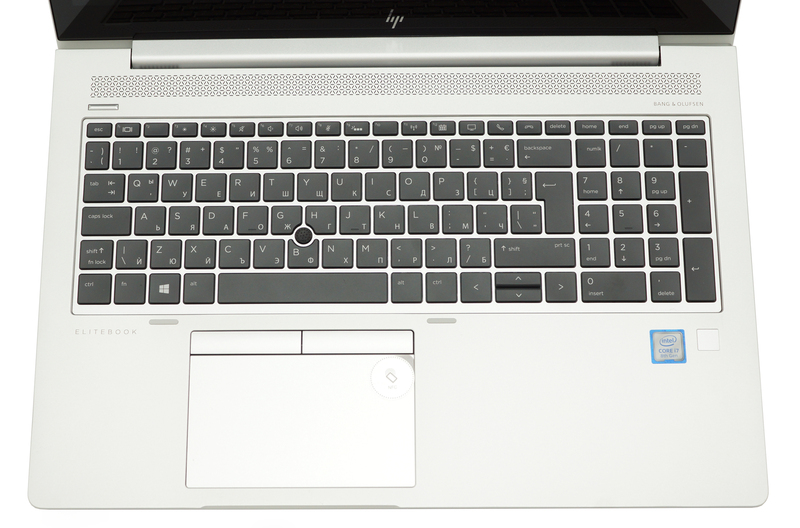 However, what we don’t like is the placement of the “up” and “down” arrow keys – usual “setback” of HP devices. The keyboard also houses the mandatory for a business device (as seen on Latitudes and ThinkPads), joystick. Then we move to the touchpad, which has dedicated buttons on top, which are meant for when you use the joystick and integrated buttons beneath the glass surface of the touchpad itself. It feels adequate enough and the keys are easy to recognize, despite the lack of visual designation. 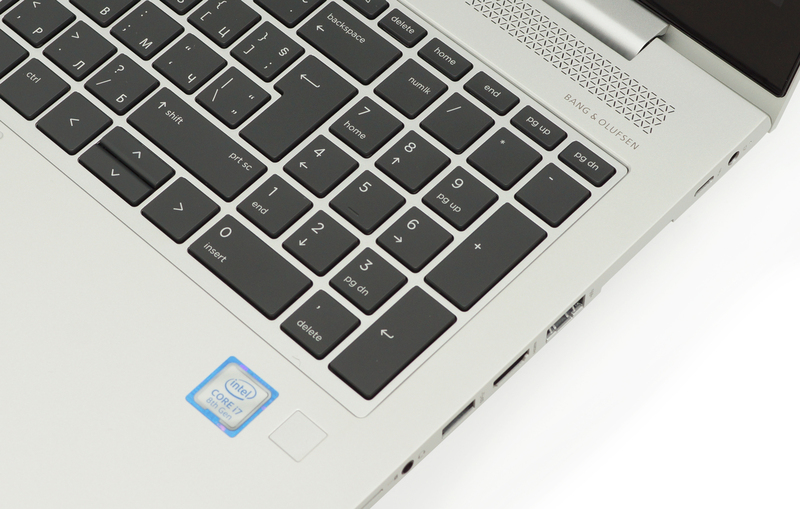 A feature that HP integrated inside the touchpad area is an NFC antenna. Speaking of input devices, we can’t miss the brilliant touch screen. Combined with the super fast Core i7-8550U it appears to be very accurate and responsive. In addition to the good build quality, this device features a couple of biometric security features – a fingerprint reader, as well as a face recognition system. We found the first one to be super accurate, while not the fastest on the market. What we liked more, though, is the facial recognition, which is rarely found on a laptop. 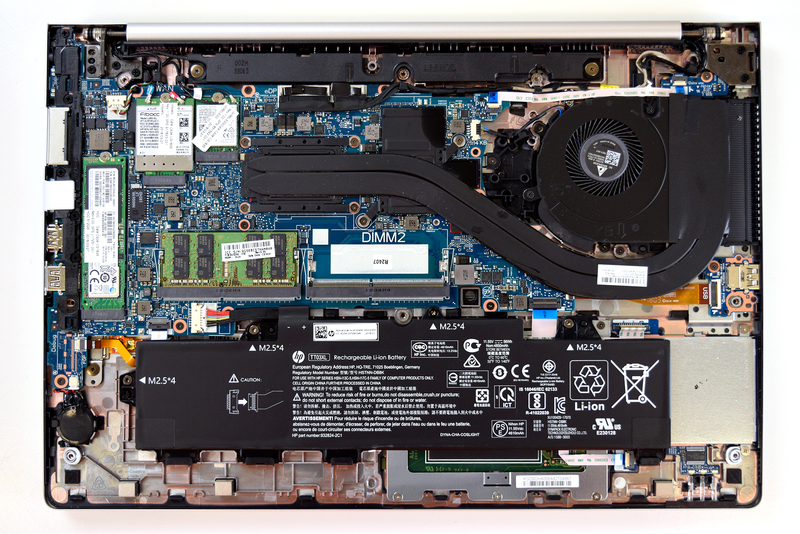 Recently we tested the Dell XPS 13 9370, which is also equipped with this feature. HP’s technology has a slight edge over the Dell counterpart, as the device unlocked every time we looked at it. However, if your head is pointing at the keyboard, it won’t recognize you at all. Last but not least, the I/O, which has some interesting additions compared to cheaper devices. 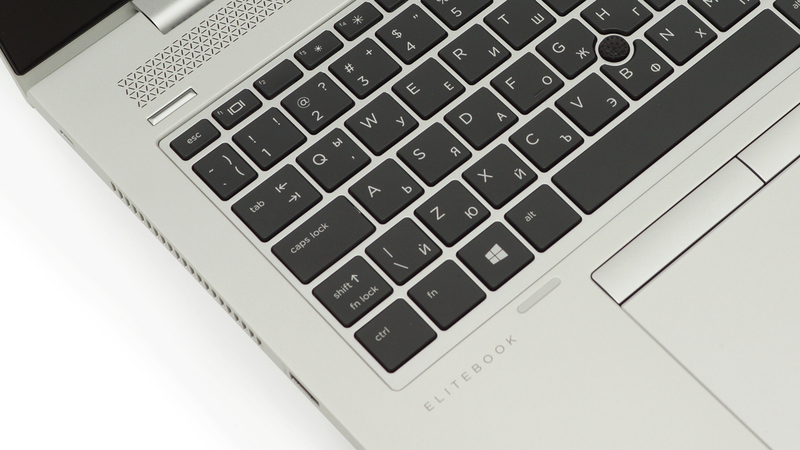 The left side of the EliteBook 850 G5 houses the hot air vent, as well as a single USB 3.0 Type-A port that supports charging when the device is turned off, and a Smart Card reader expansion slot. On the other side, you can see the charging connector, accompanied by a Thunderbolt 3 port. Following next we have the docking connector, an RJ-45 port, one HDMI 1.4b connector, as well as another USB 3.0 Type-A port and a 3.5 mm combo jack. 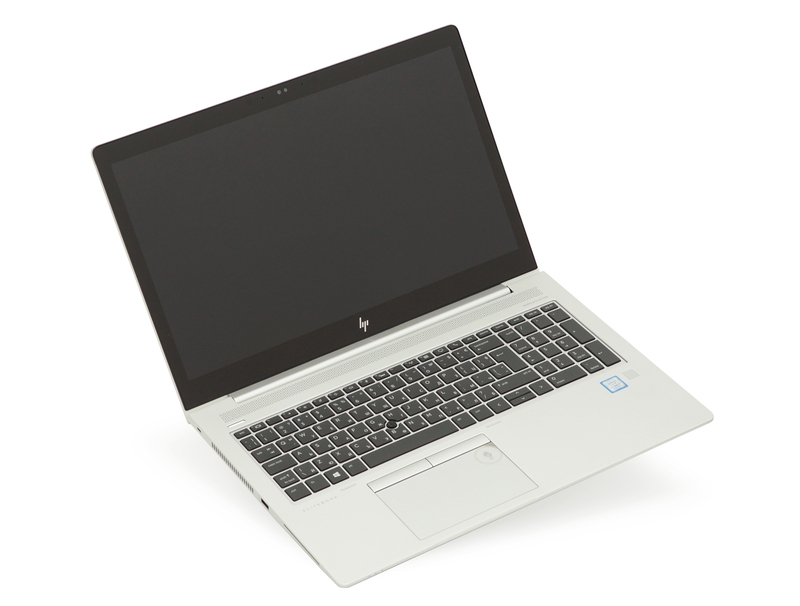 HP has done a great job making the EliteBook 850 G5 easy to upgrade. While it lacks a service panel, and you have to take off the entire bottom plate, this can be done very easily. You need to remove all 10 Phillips head screws (two of them are located in black holes). After that, carefully lift the panel, and you’re there. As you can see, the internals resemble a wide area with barely any free space left. First, we’re going to take a look at the battery. It has three cells and a capacity of 56Wh, which combined with the ULV chipset should result in good amounts of time away from the plug. Right above it are located both RAM DIMMs, which support 32 GB of DDR4 memory. 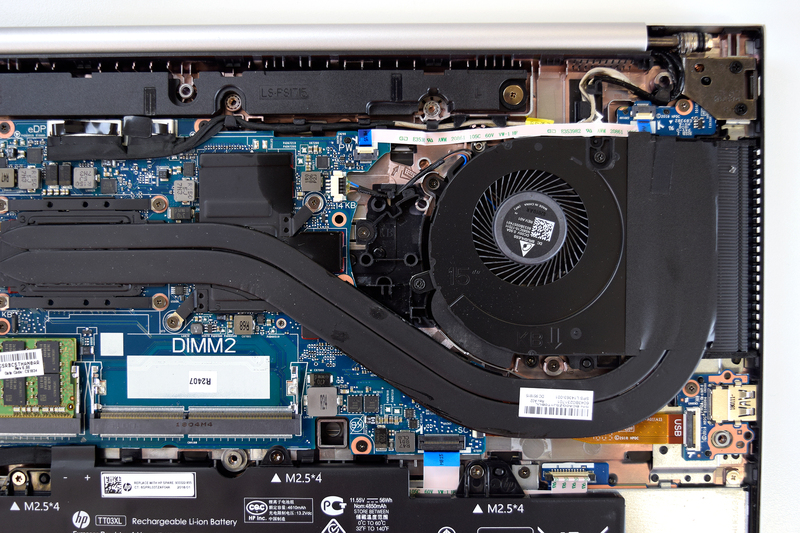 In the image below you can see the cooling solution HP opted to use for this notebook. While retaining almost the same cooling design as its predecessor it proves to be insufficient for the Radeon RX 540 configuration. This design has the major flaw of connecting the CPU and GPU on one heat transfer path which ruins the efficiency and makes GPU temperatures, in this case, extremely hard to manage. Here you can see both wireless adapters – the left one (WWAN adapter) is optional and provides 4G connectivity via SIM card. Next, we have the SSD slot, which in our case is occupied by the superfast 512GB Samsung PM981 NVMe drive. However, storage devices are region dependent so keep that in mind when looking for a laptop. 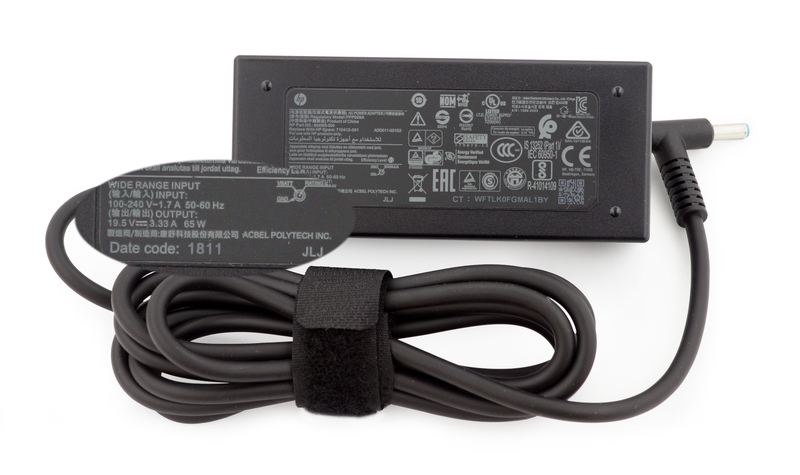 In the image above you can see one more interesting thing that HP introduced to its series – I/O connectors are modular, so if one breaks you can replace it with the same model super easily. And last but not least, here is the design of the touchpad PCB, if you’ve never seen one. In this case, there is an NFC antenna right between the PCB and the glass on the other side. 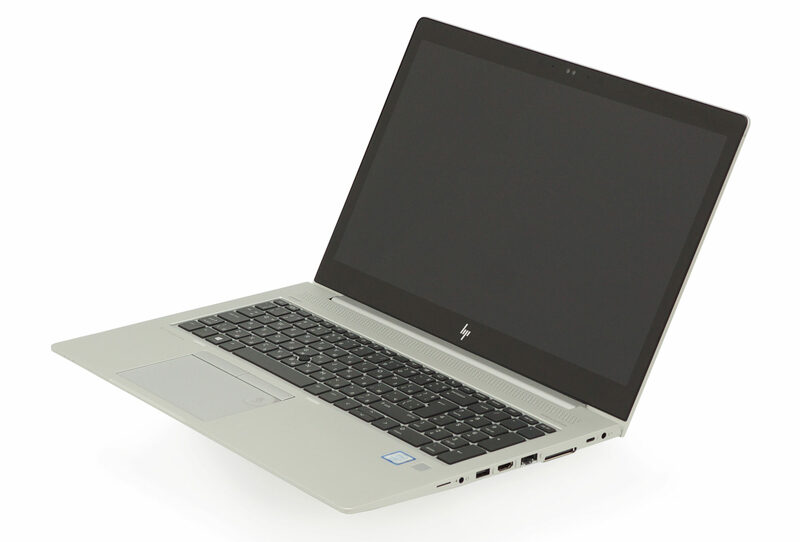 HP EliteBook 850 G5 in the configuration we tested is equipped with a Full HD IPS touch sensitive panel and bears a model number AUO B156HAN02.3. It has a diagonal of 15.6 inches and a resolution of 1920 x 1080, leading to a pixel pitch of 0.18 x 0.18 mm and a pixel density of 142 ppi, thus making it appear as “Retina” when viewed from at least 60 cm. We measured a peak brightness of 232 nits in the center of the screen and 225 nits as an average across the surface with 7% maximum deviation. The correlated color temperature on white screen at maximum brightness is 6810K – a bit colder than the optimal 6500K in sRGB. 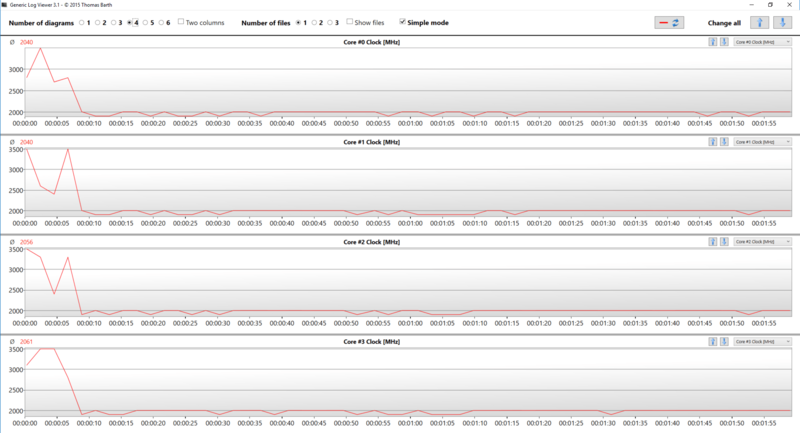 However, further along the grey scale we get a slightly warmer image – 6710K. 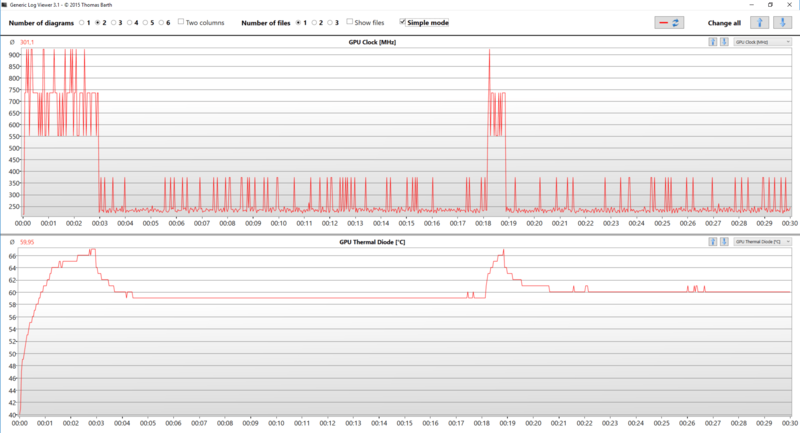 You can see how values change at 142 nits or in other words – 80% brightness. Values above 4.0 are unwanted and should not be present. The contrast ratio is good – 1200:1 (1140:1 after calibration). Sadly, the panel we tested failed to suffice in this aspect, rendering only 54% of the sRGB color gamut. 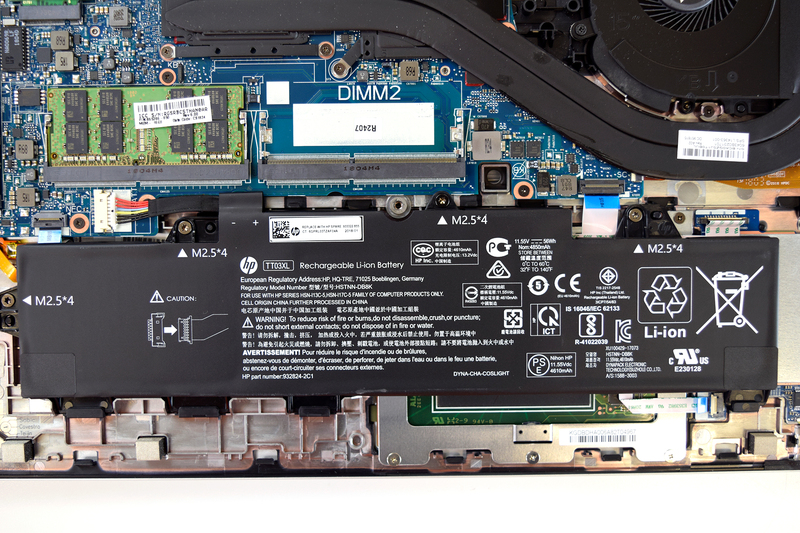 HP EliteBook 850 G5 does not use PWM to adjust its screen brightness at any level. 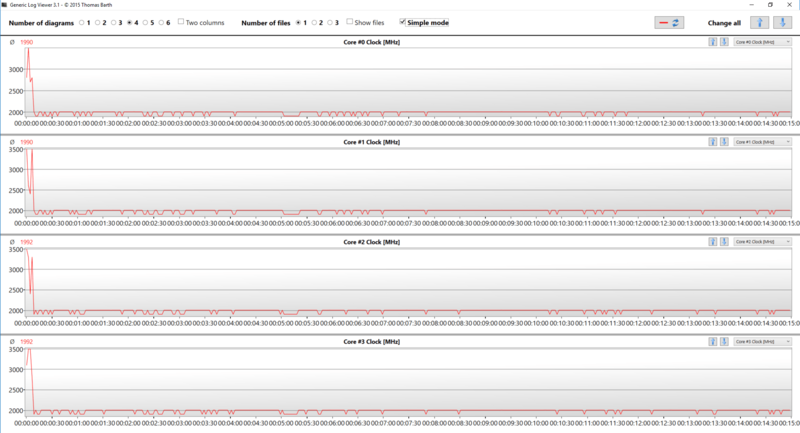 This makes it comfortable to use for extended periods of time in this aspect. HP EliteBook 850 G5’s IPS display proved to be a sufficient business grade panel. The lack of PWM adjustment of the brightness and good contrast levels, combined with the excellent viewing angles make it very good for office work. However, the display is inappropriate for web designers as it has a very shallow color range and moreover, the colors are not that accurate, even though our Gaming and Web design profile, vastly improves that. 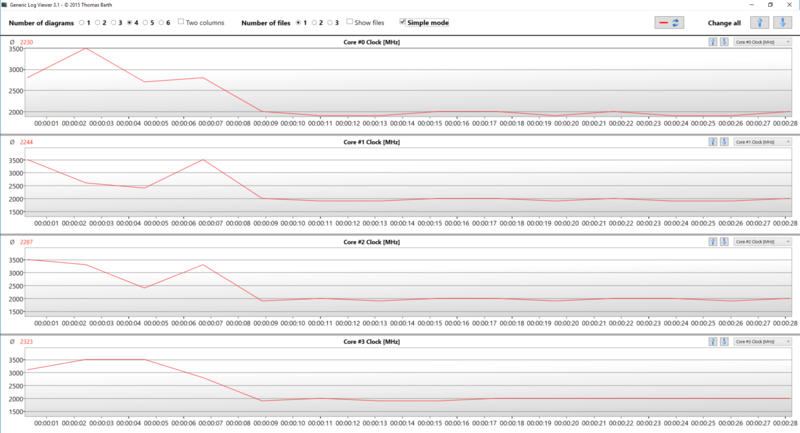 Although EliteBook 850 G5’s Bang & Olufsen speakers sound good, there are some deviations in the whole frequency range. As always, the battery tests were run with Windows power saving setting and Wi-Fi turned on, and the screen brightness adjusted to 120 nits. EliteBook 850 G5’s 56Wh battery unit provided decent performance, enabling the user to browse the web for 10 hours and 50 minutes, watch movies for 9 hours and do some minor gaming for two hours and a quarter, although we doubt you are going to do the latter away from the wall. Here you can see an approximate comparison between the CPUs that can be found in the HP EliteBook 850 G5 models on the market. This way you can decide for yourself which HP EliteBook 850 G5 model is the best bang for your buck. Here you can see an approximate comparison between the GPUs that can be found in the HP EliteBook 850 G5 models on the market. This way you can decide for yourself which HP EliteBook 850 G5 model is the best bang for your buck. 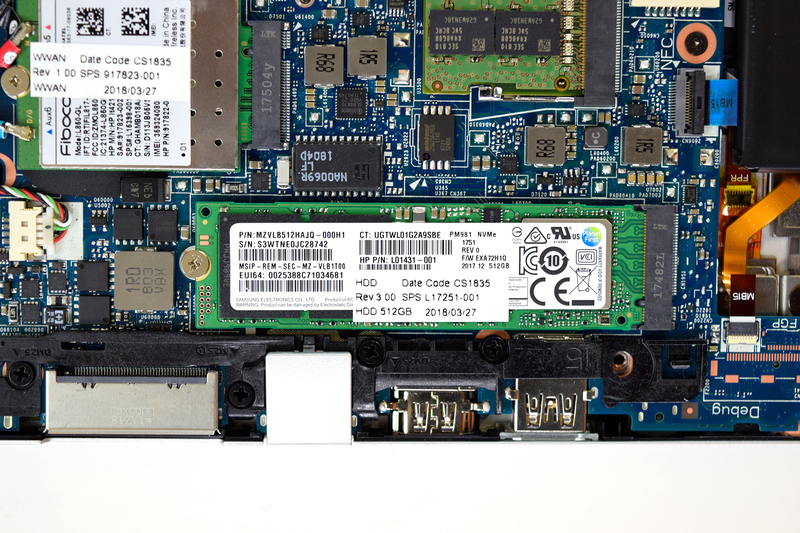 Our HP EliteBook 850 G5 review unit has got a Samsung PM981 NVMe drive with 512 GB storage. It is one of the fastest SSDs we ever tested with Read and Write speeds of 3382.7 MB/s and 2025.5 MB/s respectively. The Radeon RX 540, found on this particular laptop is not exactly a gaming graphics card, but it can provide you with some decent framerates at low resolution and eye-candy in GTA V. We also tried CS:GO and DOTA 2, but in both cases there was Vsync interrupting the whole time, thus we didn’t take the results in mind. 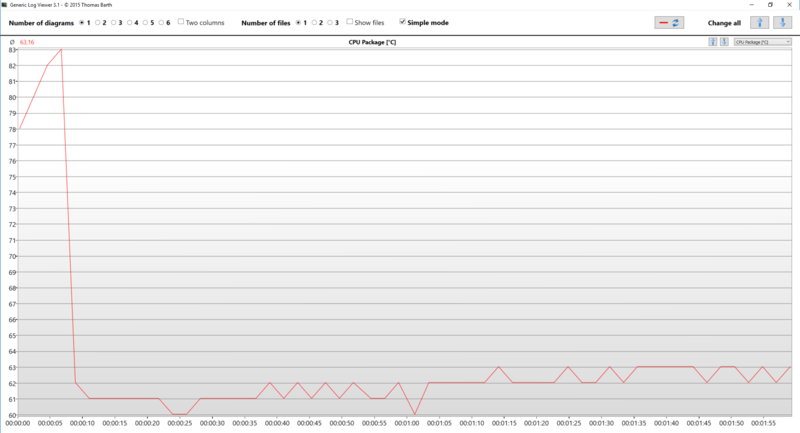 As you can see, the framerate on GTA V may also be mistaken for Vsync driven result, but the case was not the same here. Those 60 fps are an overall average from all five scenes on the GTA V benchmark. Let’s start with reminding you of the Base and Turbo frequencies of the Core i7-8550U, which are 1.8 GHz and 4.0 GHz, respectively. 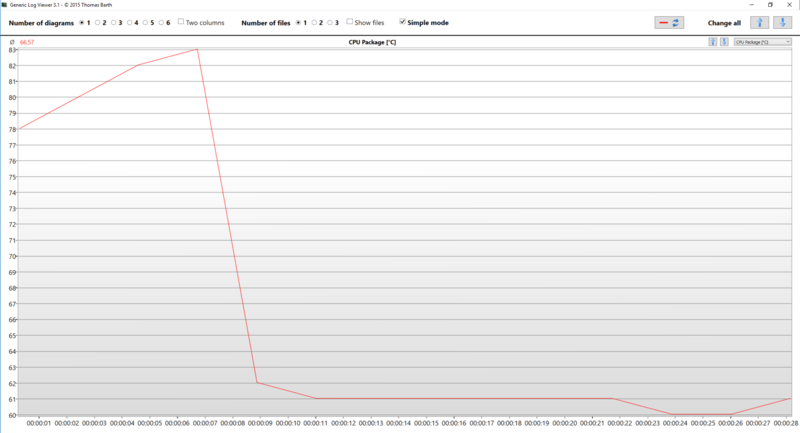 Our unit idled at 39°C but needed no more than 7 seconds to reach 83°C and slump the frequencies to 2.0 GHz. Although the first couple of seconds were optimistic as the frequency of the cores fluctuated between 2.5 and 3.5 GHz, we didn’t wait long until we saw a huge drop in clock speed. At the second checkpoint, the temperatures remained stable at around 63°C. Sadly, this didn’t mean frequencies were going to jump back at reasonable levels as they remained at 2.0 GHz. This trend continued up until the end of the test as the core clocks were ticking at 2.0 GHz, occasionally dropping down to 1.9 GHz, but still in the “no throttling” zone. The average temperature for the whole period of the torture was 64°C, which is reasonable. Next, we tested the Radeon RX 540 with our favorite FurMark stress test. We are not proud to say that our fears of the cooling not being sufficient enough for this hardware were justified. Even at the beginning of the torture test we noticed some fluctuations in the clock speeds, which by the way were far from the maximum boost clock of this GPU. Moreover, around the 3-minute mark, which coincided with the GPU reaching 67°C, clock speeds fell drastically down to around 250 MHz. This was the trend for the entire test, excluding a 1-minute adventure to the relatively normal 550-750 MHz just to go back to the same 250 MHz, until the end. Although the inside temperatures were not that high, the thin profile and aluminum body resulted in high surface temperatures. 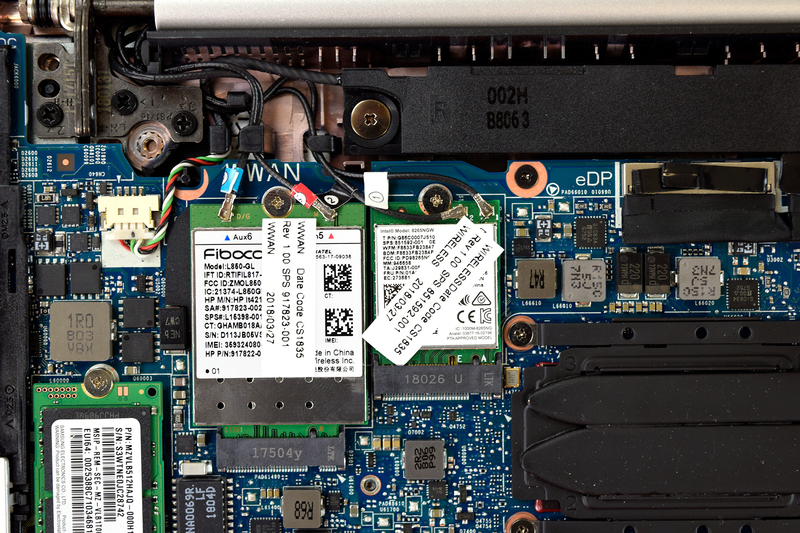 Moreover, unlike other devices, the EliteBook 850 G5 was warm across the whole surface area, with crucial parts like the keyboard reaching more than 40°C. Still, this happened on a very rare occasion of extreme load. However, keep in mind that the fan likes to spin even at low loads but it’s very quiet. As with every device in this price range, we approached HP EliteBook 850 G5 with a lot of expectations. Although the device is very well built, it didn’t meet some essential requirements. 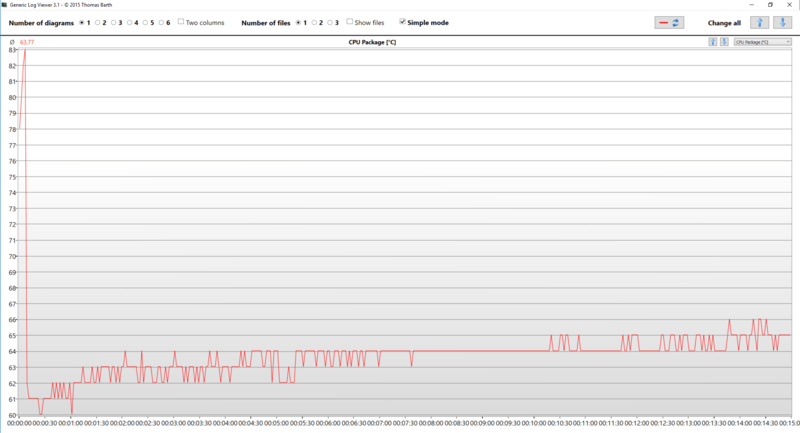 Performance-wise, it falls behind some cheaper devices like the Dell Latitude 15 5590 and the ASUS VivoBook S15 (S510). However, the build quality of this notebook is exceptional. Being so thin and lightweight, while featuring an all aluminum body resembles a Macbook approach, hence we decided to put the latter in the comparison charts (just for fun). 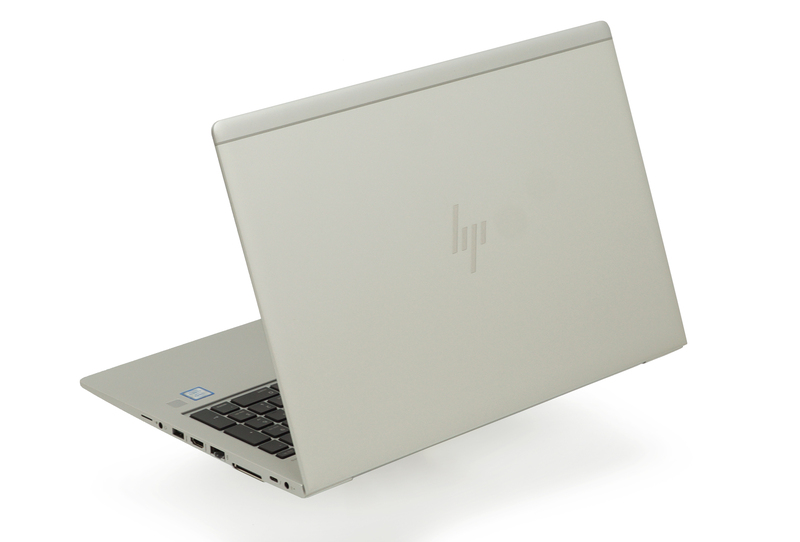 We must note that the foundations built by its predecessor – HP EliteBook 850 G4 were not stable at all and HP had some time to think about what went wrong with it. First of all – display quality. This year we definitely saw an improvement over the mediocre TN panel. Now featuring an IPS display, the laptop lets you enjoy high contrast ratio, comfortable viewing angles but sadly, because of the use of a budget panel, the color range is poor as the screen displays only half of the colors found on the Internet. However, this is our only complaint as it doesn’t use PWM for brightness adjustment. Again, among the strongest points of this year’s model is battery life with around 11 hours of web surfing and 9 hours of video playback with twice the core count. Moreover, the device is NVMe SSD enabled and our unit actually shipped with such, which makes a huge difference. We were really impressed by the input devices as well. A fast keyboard, adequate touchpad with glass surface and NFC antenna embedded in it and last but not least – optional touchscreen, which behaves very well. However, HP doesn’t specify if it’s stylus-enabled or not. We left the setbacks at the end on purpose. This is because almost all of them can be ignored given the target group of this computer. First of all – the Core i7-8550U doesn’t perform at a decent level in the raw tests, although the device proved to be very snappy and didn’t lag for a second. Next, we have poor graphics card management, which makes it throttle too soon and with low temperature (we don’t know if this is going to be fixed in a future update). However, this happens under extreme conditions, which are unlikely to occur in the business segment. I wonder if HP’s crummy ProDisplay monitors have the PWM you speak of. These destroy my eyes at work.